Anyway, I know there are a few people out there who prefer empirical evidence. Well, it's here. Guess that settles everything, eh? That's an interesting little video. However,the Biblical reference is not quite so clear. The word in the original text, re'em, Strong's #7214, does not necessarily refer to the unicorn, although that word is used in the King James Version. Other translations include aurochs or even wild bull or ox. The word occurs 9 times in the Bible, usually in association with the animal's strength, and horn or horns (the plural horns always occurs when the animal is also mentioned in the plural, so unicorn is not impossible.) My personal preference, is that the aurochs is meant, but it could well be another creature. Why do they call them Unicorns? It would make more sense to call them Unihorns. Wouldn't it? That and, green alligators, long legged geese, humpty back camels and chimpanzees were already named. I was previously unaware that unicorns forwent the use of their legs during locomotion. Thanks for the video. Make America Great Again! - Trump in 2020 ... "We're a capitalistic society. I go into business, I don't make it, I go bankrupt. They're not going to bail me out. I've been on welfare and food stamps. Did anyone help me? No." - Craig T. Nelson, actor. I love that some thought the color wasn't right! But, I thought the point was to have a belief, and choose the version and the parts that most closely align with them. Maybe I don't understand how it works. Of course we have Real Live Unicorns! and they do card tricks too! Ask Kyle. (Posted: Sep 12, 2010 12:11am) See Photo! I'm not sure I understand the question. I think at the time the Book of Job was written, certainly at the time the Book of Deuteronomy was written, the meaning of the word was clear to the originally intended audience. Whether the English translators were correct in using the word "unicorn" is the question. 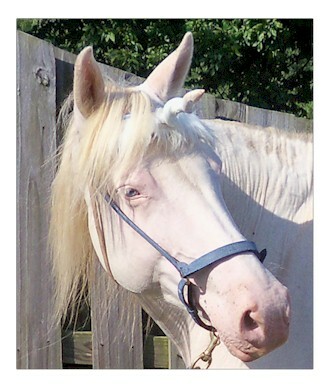 As for "unihorn," "unicorn" is from the Latin, "cornus" means horn. I was previously unaware that unicorns forwent the use of their legs during locomotion. Good point. At least the mane moved. Woland, I just thought accuracy in the translation was secondary to finding the translation that best suited your beliefs. OK, I understand your point. To me accuracy in translation is paramount, otherwise you have no idea what the text was intended to convey. Nice! Has he / she / it been up Don Valley way lately? If so, mystery solved. "Of course there are unicorns; they just don't exist." - Raymond Smullyan. Guess they forgot to tell Bill Buckley. "...as we reason and love, we are able to hope. And hope enables us to resist those things that would enslave us." You do know better than to play Leap Frog with a unicorn? PS --- Lucy and I have really enjoyed some of the video related to the links here. Thank you! When I was putting on Star Trek convention (in the 70s) a guy showed up with a unicorn goat named Lancelot. The Goat was very smart (he would bow and such tricks) and really cute. I gather the guy went to some trouble to make this happen although he was purposefully unclear as to the method (selective breeding, horrible braces and the removal of one horn or operations) but he did also have a younger kid with one horn. I like to imagine it was a genetically transferable mutation that the guy was trying to take credit for, but with my suspicions un-confirmable too distasteful to get, into, or excited about. Asimov mentioned this in his book on the bible. He also mentioned that there a quote concerting the "horns of the unicorn" which seems to imply the animal in question has more than one horn. You don't look old enough to have been involved with the Star Trek convention movement in the 70s. I went to a few in NYC, where were you putting your on?